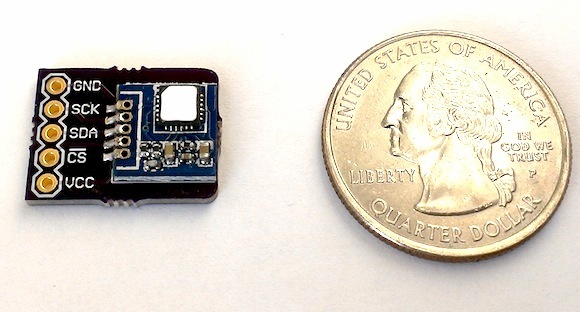 The Si7005 is a digital relative humidity and temperature sensor from Silicon Labs. It integrates fully factory-calibrated humidity and temperature sensor elements with an analog to digital converter, signal processing and an I2C host interface in a single monolithic CMOS sensor IC. The Si7005 is available in a “non hand-assembly-friendly” 4×4 mm QFN package, which requires reflow soldering to mount it on a PCB. 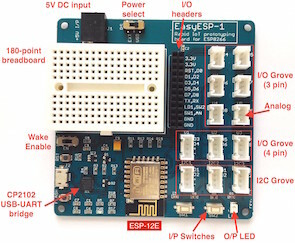 This breadboard friendly breakout board is designed to make your prototype project with the Si7005 sensor much easier. It can be used with PIC, Arduino, or any other microcontroller development platform through an I2C bus. The power supply and I2C signal pins are accessible through breadboard friendly 0.1″ pitch header pins. Note that the Si7005 sensor is not 5.0V tolerant. It must be operated at 2.1-3.6V power supply. 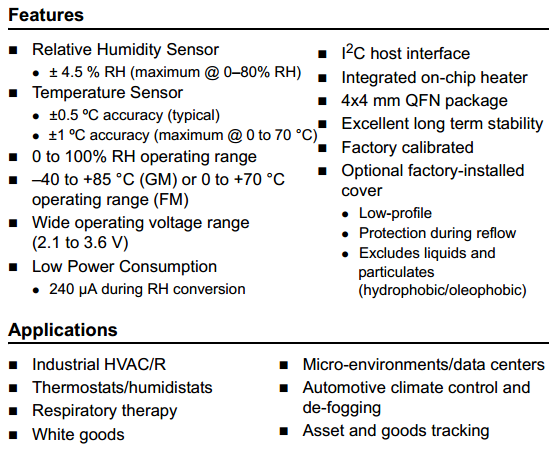 The Si7005 datasheet describes the features of this low-power sensor device and its applications in more details. 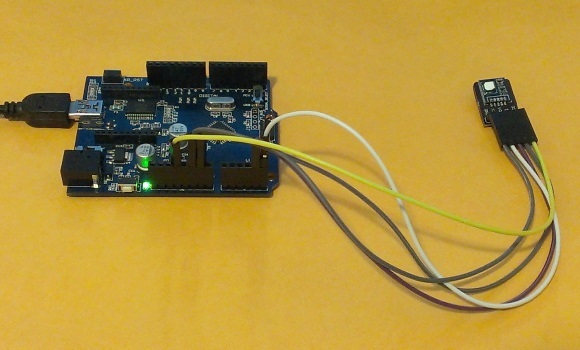 Si7005 can be interfaced with an Arduino board using the Jonas Bo Jalling’s Si7005 library. 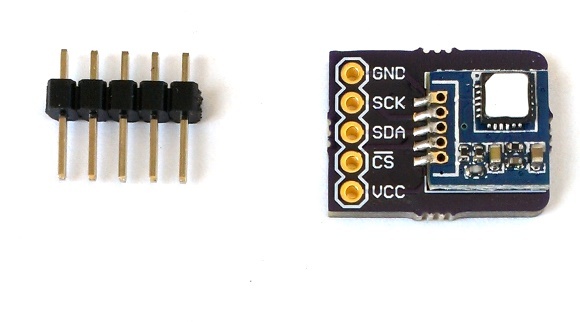 Make sure your Arduino board is running at 3.3V as the Si7005 sensor is not 5.0V tolerant. I tested this sensor module with Crowduino (an Arduino Duemilanove clone with Atmega328) using the Jonas Bo Jalling’s Si7005 Arduino library, and it worked like a charm. Crowduino has an on-board power select switch to chose the supply voltage for operation between 3.3V and 5.0V. I chose it to operate at 3.3V. 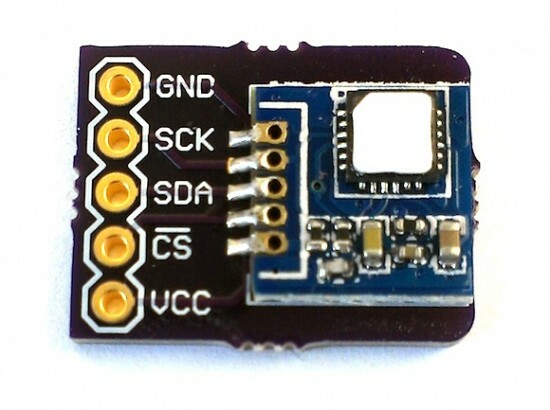 Pins 1 (GND) and 4 (CS) of the Si7005 breakout board are connected to the ground terminal of Crowduino. Similarly, pins 2 (SCK), 3 (SDA), and 5 (VCC) are connected to A5, A4, and 3.3V power supply of Crowduino, respectively. The setup is shown below. The Crowduino board reads the sensor outputs and sends them to PC through USB-UART bridge at 9600 baud rate. The sampling interval is 1 sec. 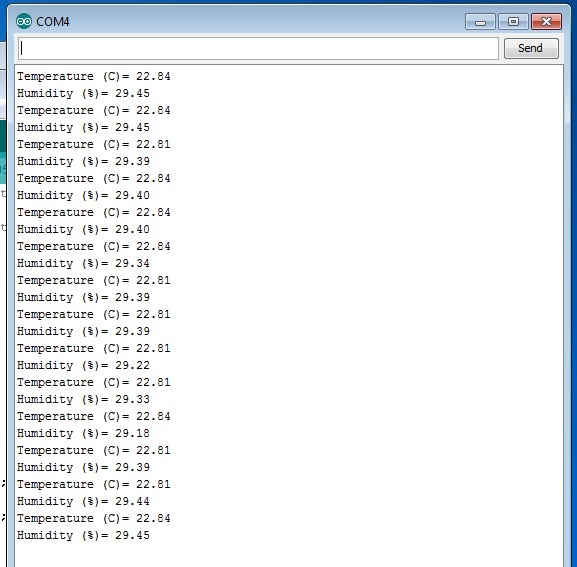 The temperature and relative humidity can be seen on the Arduino IDE’s serial monitor window. If you are interested, you can buy the Si7005 breakout board for only $9.50 $8.50 (introductory price) from our Tindie store. I live in Peru. Elecrow is not showing this, only Tindie is. So a little help from you, how to obtain one? Am I toooooo late? Just making sure, your $8.50 breakout board includes the Si7005 already soldered on? That is correct. It is an introductory price and won’t last very long.